As you may be aware, brand Sri Lanka is under attack with growth dropping to a single digit since 2016 which has been tainted by ‘Governance’ and the drive down of the economic activity that has reached 3.1% in GDP as of Q12018. If we track back to the performance of ‘Brand Sri Lanka’ as per the Nation Brand commentary, the governance issue has been the perennial issue since 2009. On this attribute, Sri Lanka’s brand was weighed down given the attack on journalists and the curb on media freedom. The world breathed a sigh of relief on 8 January, 2015 when the new Government was voted in by the people of Sri Lanka in a decisive move. The Business Confidence Index (BCI) and the Consumer Confidence Index (CCI) moved up immediately as per the AC Nielsen ongoing research report which was the expectation that the country had on the new administration. However, when the ‘Central Bank Bond fiasco’ hit the media, which led to the Governor of the Central Bank of Sri Lanka being removed and the resignation of the Minister of Finance, once again hit ‘Brand Finance rating on Sri Lanka’. The revelations that are being unearthed today, where three politicians accepting that there was a change of money from the organisation that was central to the Bond Scam, further takes Sri Lanka down the road of disaster on brand value. Currently, Sri Lanka as a brand is valued at $ 77 billion growing at around 8% on a year-on-year basis. If we analyse the best practices used by countries that have had issues on the nation brand image indicator, a key point highlighted has been that there is nothing called “nation branding”. The logic being that nation branding infers that a promise can be built using marketing messages. There is absolutely no evidence that this is possible; no country has ever succeeded in doing it and the experts in this area like Simon Anholt have never advocated it. A better word to use in practice is “nation brand”, which is simply an observation about the importance of national image in the modern world. Literature says that if a country doesn’t like its image – and most countries don’t – then the only way to change, update, enhance, or otherwise influence that image is through the things the country does, not by the things it says. Influencing a country’s reputation is primarily a matter of policy, strategy, innovation, and investment over a very long period – it has nothing to do with logos, slogans, advertising, or PR campaigns. So, one can always argue that getting strong PR companies to talk on behalf of Sri Lanka will have very little impact on the end results. What is more important is building a reputation with actions. Reputation helps exports and investment. It is being proven that countries with powerful reputations and positive images can export more products, more culture, more people, more services, and attract more tourists, more investors, more immigrants, and the attention and respect of other governments. Countries with weak or damaged images find it much harder and more expensive to achieve all of these goals, has been the past experience. In other words, the need of the hour is driving substance on brand Sri Lanka rather than promises. Share real life stories rather than marketing magic. As Simon Anholt the expert says: A reputation cannot be constructed; it can only be earned. The question should never be “what can we say to make Sri Lanka famous?” but “what can we do to make Sri Lanka relevant?” Relevance is the only issue that matters. A structure developed to systematically develop reputations on this ethos can be the nation brand hexagon. This consists of tourism, people, exports, culture, governance, and investment. The six key pivots of nation brand building in a country are – tourism, exports, people, immigration and investments, culture and heritage, whilst the final attribute is sports. 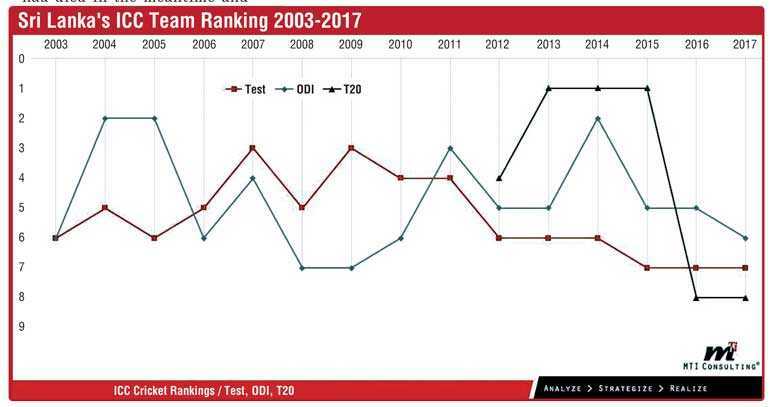 Whilst we can be proud of this fact, the recent incident where Sri Lanka Cricket was accused and proven of ball tampering sure dented the credibility of brand Sri Lanka. 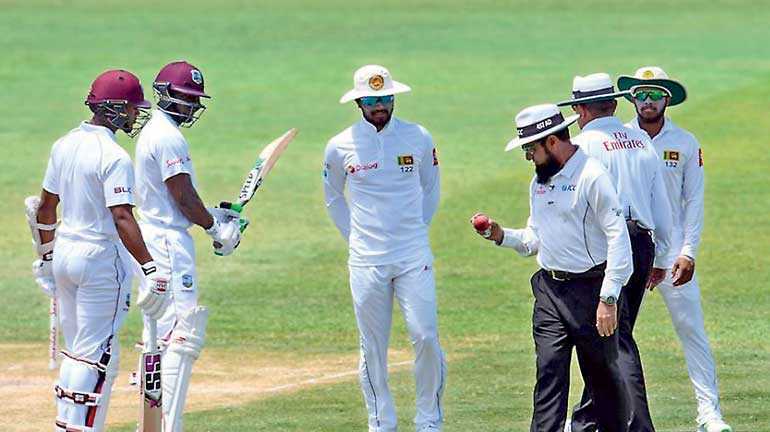 It was flashed all around the world and finally the ICC appointed a panel chair that found the Captain of the Sri Lankan team guilty. In my mind it was the final nail that sealed the nation brand score of Sri Lanka that is shrouded by the biggest fraud by a Central Bank of any country where a red notice alert has been issued by Interpol on the then-Governor who is hiding in Singapore. 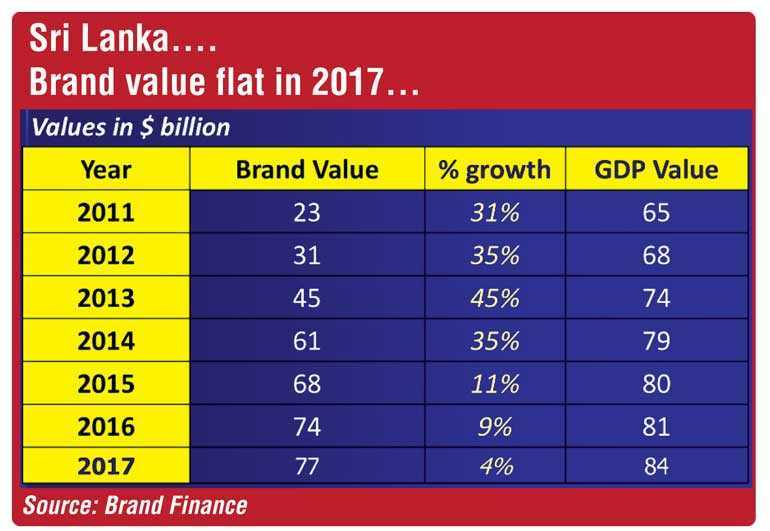 Whilst we can be devastated on the Nation Brand value attribute of Sri Lanka, I am yet hopeful that provided a clear action plan is at place we can once again emerge to be a $ 100 billion brand and an economy also at $ 100 billion. The logic being that Croatia, that was accused of war crimes after almost 20 years of amassing evidence on the rights and wrongs of the Balkan Wars, the UN tribunal in The Hague delivered several verdicts shaping modern international law. Operation Storm – the military offensive in August, 1995 that ended four years of war with the Serbs and gave Croatia victory and independence – had been termed a war crime. The foundation myth of Croatian statehood was sullied by this decision. At stake in this trial was much more than the fate of one man. The guilty verdict incriminated the entire 1990s regime of President Franjo Tudjman and destroyed Croatia’s founding myth: the liberation war. The key players – Tudjman, his Defence Minister Gojko Susak, and the Army Chief Janko Bobetko – had died in the meantime and could not face justice. The Gotovina case became a proxy trial of the Tudjman regime. The guilty verdict found the same regime deliberately plotted a systematic campaign of terror and violence aimed at ridding Croatia of its large Serbian minority, triggering the flight from Croatia of around 150,000 Serbs. Croatia’s brand was hurt by the funding and the unwillingness of post-war governments to cooperate in the prosecution of war crimes suspects further dented the brand image of the country. However, with some focused work, today, the brand has an imagery as one of the most successful incoming destinations in the Mediterranean, ranked ninth in terms of the rate of growth of its national brand as per brand finance and was termed among the only two European countries to make the “most improved” list. Maybe it’s a lesson for Sri Lanka. Let me take the key initiatives and some pickups for Sri Lanka. In late 1997, the Croatian Chamber of Economy started the Project to Visually Mark Croatian Products with Croatian Quality and Croatian Creation labels. The Croatian Quality label is given to 110 Croatian products whose properties meet high world standards. With full membership of this European integration, there is a strong marketing push on this front that has increased exports to almost $ 25 billion. Research reveals that nation branding has played a crucial role in the ability of the country to compete against their neighbours for investment and drive business partnerships. Even though Croatia’s brand equity was hurt by the lasting associations of the country with the brutal Yugoslav wars in the 1990s, and the unwillingness of post-war governments to cooperate in the prosecution of war crimes suspects, the country has worked hard in building its brand image. Croatia is an active member of the UN, EU, NATO, and WTO and has set 52 foreign embassies and 69 consulates across the world with all having career diplomats manning the stations. Croatia represents a blend of four different cultural spheres. As of 2009, Croatia has 23 professional theatres, 14 professional children’s theatres, and 27 amateur theatres visited by more than two million viewers per year. The professional theatres employ 1,100 artists. There are 24 professional orchestras, ensembles, and choirs in the country, attracting an annual attendance of 323,000. There are 117 cinemas with attendance exceeding 3.5 million. Croatia has 175 museums, visited by nearly 2.2 million people in 2009. Furthermore, there are 1,685 libraries in the country. It shows the people’s positive attitude towards aesthetics. Croatia has established a high level of human development, and literacy in Croatia stands at 98.1%. A worldwide study about the quality of living in different countries ranked the Croatian education system the 22nd best globally. In fact, Croatia has also produced two Nobel Prize winners. Since the conclusion of the Croatian War of Independence, the tourist industry has grown rapidly, recording a fourfold rise in tourist numbers, with more than 10 million tourists each year. It dominates the Croatian service sector and accounts for up to 20% of Croatian GDP. The annual tourist industry income is estimated at € 6.61 billion. Hence we see that a brand can be built from disaster, but first we have to accept that we have faulted and that course correction is required. For this to be done, it has to begin from the top. Simon Anholt very clearly stated that unless the Head of State becomes the driver, correction to the nation brand building will never happen. But the issue in Sri Lanka is that the biggest issue ‘the Bond Scam’ involves the biggest names in Sri Lanka which will sure be a challenge.